Well a lot of things influenced me, as a kid I often went to the library with my mom and grandma and I always look for those massive, gigantic, monstrous books and most of the time those were architect books. So growing up I always wanted to be an architect. Later on, I was really into skating so I grabbed skate books to learn about the history and to cook up some new tricks. Ended up seeing a lot of graphic prints in those books on decks and t-shirts, which eventually lead to copying those prints. I was also collecting comics with my dad from ‘Robbedoes en Kwabbernoot’ from the French illustrator Robert Velter. 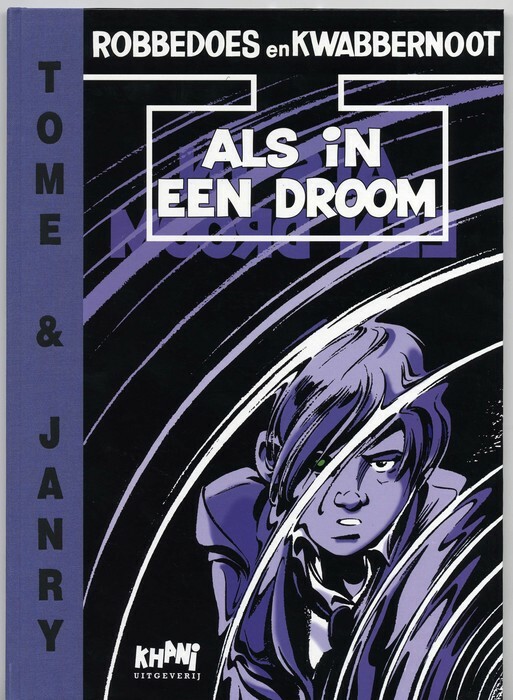 My favourite is ‘Als in een droom’. Then I started doing more research and found Graphic Design & illustration. I was playing basketball on a professional level during high school but I didn’t saw a real future in it. So I quit pursuing that dream and I already knew I wanted to do something creative. I finished a degree in graphic design after that, and I knew I was good in visualisation so signed up for Bachelor of Design in illustration on the University of Arts in Utrecht, got in and did that for a year and quit. Wasn’t for me man.. haha.. After that took a risk and started a two-man studio with my partner Lorenzo in 2012 called Nozem. Well, after my alarm goes off. I snooze, take a few more Z’s and snooze again. Jump up out the bed like I’m possessed. First thing take a very long shower, that’s a must. Put on my tracksuit or a hoodie, cozy socks and slides there’s no dress code at home so I want to wear something comfortable. Drink 2 glasses of water (try to stay hydrated), make a quick meal. When I have time I try to meditate for 5 minutes or listen to a Toni Robbins podcast. Then check my messages and e-mail. Time to work, I mostly work from home, now and then I visit our shop where we build the motorcycles to meet up with Lorenzo. Or work at a flex-desk at a client when needed. I listen to music all day long, I’m always up to date and checking a lot of blogs I enjoy discovering new artists and sounds. I workout with a good friend of mine when I can, trying to go to the gym at least 3 times a week. I really like the 5x5 stronglifts program, short and sweet doing all the big muscle groups (it’s free check that out!). When I have little time (or I am lost in my workflow haha) I workout at home. I’ve built a mini gym with a squad rack, bench, and boxing bag so I don’t have an excuse. I often work late after dinner, there’s something about the evening/night that suits me well, always have been. There are no distractions, almost no noises and the lights are majestic and smooth. It keeps my mind focused, so often those are the moments I’m at my best. I always try to get at least 8 hours of sleep but I lose track of time a lot. Before I go to sleep most of the time I read articles and interviews. When I can’t fall asleep I use headspace a lot lately and listen to ambient sounds. I get my inspiration from a lot of things, lately, I’ve turned my gaze on merch from music artists I think, it is really good nowadays. Besides that, I look at cars a lot and I like bold things, more bark than bite artwork and animation. I’m a bit of a Hypebeast and I used to collect sneakers I do not have that many pairs anymore, but still, like streetwear/fashion in general. I really like seeing these kinds of inventions and the whole process of it. I think my recent work is my best work, because of the mood I’m in. We’ve made a new bike for Yamaha Yard Build (our friend Gijs Spierings still needs to shoot some good pictures of it, coming soon) Lorenzo won the international Class on @glemseck101 festival on the bike, it’s a BEAST!. I designed the logo for Adje’s album release party, he’s a high praised rapper here in The Netherlands, it ended up on his album cover art which was totally unexpected! I still get a lot of emails regarding my portrait illustrations of artists and this is still my favorite. Because only Christopher we acknowledge is Wallace. I am at a point now that I need to let go more and expand. Trying to find the right people to team up with and whom fits your point of view is going to be a challenge but I guess is also going to be fun! Furthermore finding the balance between creativity and efficiency is hard. Working against the clock can be frustrating and I think everybody who does something creative can relate. I’m always seeking for something new to up my game and sometimes that feels somewhat weird like I don’t know what my ‘path’ is. I’m reading this book ‘Mastery’ by Robert Green, which is very interesting and tells about People who mastered their craft and how they got where they are right now. I didn’t finish it yet but it already taught me a lot and reflect more. It helps you remember that it’s a marathon, not a sprint. Pick your battles, take changes and stay hungry. Don’t try to worry about the ‘next guy’ too much, stay true to what you want to do. Plus always do personal side projects to up your game. If you’re in Amsterdam you should come through and chill and vibe out @Jiggy, Vibe & Fiesta Macumba. Check out my boy @patchwork for some great music! @vanschneider known in the design business, but gives you a lot of insight on a lot of different topics relating to design.